- See the world around you through a virtual kaleidoscope. - It responds in real time to the images seen through your camera. 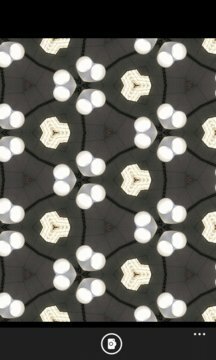 - Move and rotate for more live symmetrical patterns. - Very fast and colorful. 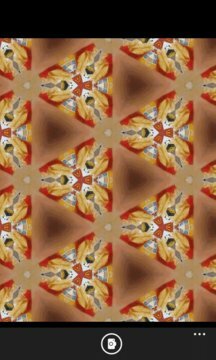 - Create amazingly beautiful images with this interactive kaleidoscope. - Save the pictures you like in your photo album. - A future version will allow you to adjust and modify the images using included filters for even more images.